Rugby Academy members at Murrayfield for the Edinburgh v Newcastle Falcons game. Run by the Strathmore Rugby Club Community Trust at Strathmore RFC’s ground in Forfar, it is well on its way to beating its participation target for its second season with just four months gone. 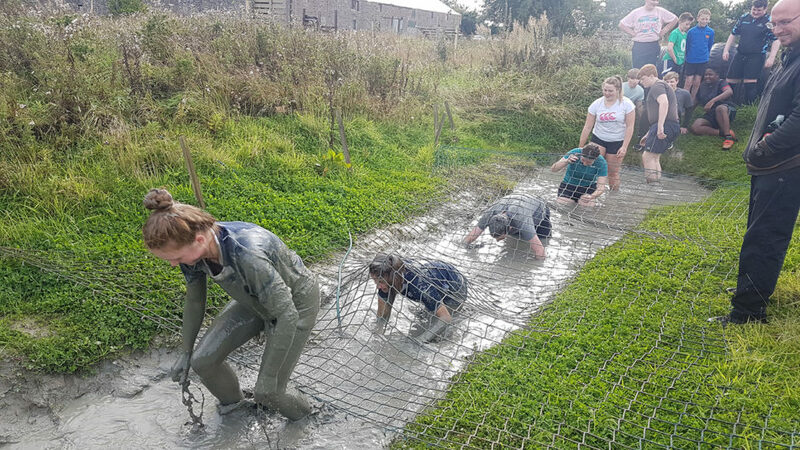 Rugby Academy members try out an Army assault course. It runs free sessions for male and female pupils from Forfar Academy, Webster’s High in Kirriemuir and Brechin High on Friday afternoons during school term. It began in August 2017 and during its first season an average of 30 children took part. This season it’s up 53% by last month – ahead of the 40-average target for the year. The objective of the rugby academy is not just to develop the pupils’ playing skills but to provide them with the tactical and conditioning knowledge to successfully transition into adult rugby as well as develop them as individuals. 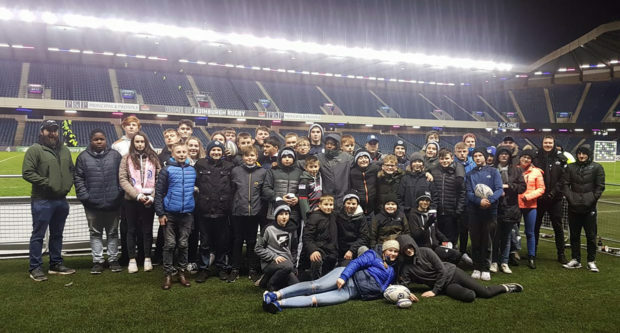 In addition to standard rugby union and rugby league training, including strength and conditioning work, this season they’ve taken part in a cooking workshop and enjoyed a communication/teamwork workshop and field trips to an assault course and Murrayfield. Stuart Gray, chairman of the trust’s board of trustees, praised the role of Josh Gabriel-Clarke, its full-time community project co-ordinator, who was appointed last July. He said: “Josh very quickly and professionally delivered real purpose and improvements to the rugby academy. “He is delivering our vision of developing people through rugby by building on and linking what was delivered last year and what the external professionals offer back to rugby. “The partnerships we are now strengthening with the schools, active schools and the external professionals will only lead to further success. “We’re focusing on developing the person, not just the player. Gordon Cairns, director of sponsors Stracathro Estates, said: “We are very impressed with the idea of developing youth through sport – an excellent initiative which motivates youngsters to take charge of their life and be proud of who they are. The trust was founded last year to increase public participation in sport, particularly rugby union and rugby league, in the Forfar, Kirriemuir and Brechin areas. It works in partnership with Strathmore RFC, Brechin RFC, the Scottish Rugby Union and the Scotland Rugby League.